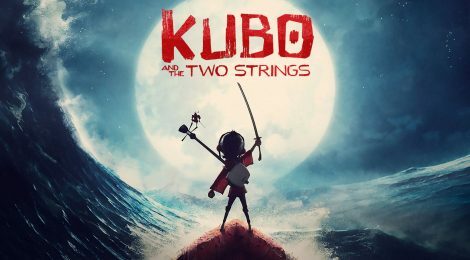 Movie Review - Kubo and the Two Strings - Honk if you love justice! We saw Kubo and the Two Strings a while ago, but I’m just gathering my thoughts on it now. It’s quite possibly my favorite Laika movie, and that’s saying something as Coraline gets a ton of play, especially this time of year. Kubo deals with complex feelings with mind-numbingly gorgeous visuals. It’s the sort of movie (like When Marnie Was There) where you are tearing up at the end and you’re not sure if you are happy or sad or both. It’s funny, if I try to explain the plot, it sounds really convoluted. I think my wife (who didn’t go see it with us) is still confused. Watching the movie, though, everything is crystal clear, and it kept me so emotionally invested that I never saw the twists coming, even if I should have. That’s a sign to me of a great movie. Travis Knight is the director, having been a lead animator on many of Laika’s previous works, and does a fantastic job. While you may scratch your head a bit at Matthew McConaughey as a beetle-Samurai, the voice cast does great work, with Art Parkinson (GoT’s Rickon Stark), Rooney Mara, George Takei, and Ralph Fiennes all pulling their weight. There are scary parts, and creepy parts, so keep your younger/more sensitive kids close. Really, just go see this movie. You complain about everything being a sequel or franchise movie, nothing original? SEE THIS. On the biggest screen you can. Bring a few tissues, and a child young enough that they’ll let you hug them afterwards.